For 45 years, Kautz Construction has been a regional provider of premier service in general construction and both residential and commercial roofing. We are a family owned business with an honest work ethic and a commitment to quality service and customer care that has kept us in business for 45 years. As a family-owned company, we consider our customers family too. Our humble beginnings started with our President, Gordy Kautz in 1973 and he still oversees our operations. Gordy originally started as a carpenter/roofer. As his business grew, G.L. Kautz Inc. was founded in 1979, and Kautz Construction was founded in 1994. As green initiatives and sustainability goals became more prevalent, Gordy had the foresight to invest in green initiatives. Because of his forward-thinking, we are certified in Green Vegetative Roof Systems and Solar Electric Energy systems. In 2008, we founded KC Green Energy which specializes in installing and designing solar electric roof or ground mount systems for commercial, agricultural and residential locations. Gordy knew our roof experience was critical to ensure proper installation of roof mounted solar panels. While many other solar electric installers have gone out of business, KC Green Energy remains strong. Our roofing and general construction experience have been paramount to our solar success. Given our specialties in general construction, roofing and solar, we pride ourselves in being your “single source solution” – one call does it all. Our clients tell us they appreciate dealing with one contractor for their general contracting, roofing and solar needs because there are fewer headaches and roadblocks. As your single source solution, we provide peace of mind with hassle-free warranties. Premier service, quality craftsmanship, honesty, and competitive pricing are the key elements of our success. Call us for your next project and see what 45 years of experience and dedication have to offer. Gordy started in the construction business as a laborer for the summer of ’69 between his junior and senior year of high school. After graduation, he started his career as a framing carpenter. In 1974 Gordy started a roofing and home improvement company. This humble beginning propelled him to become one of the largest and most respected commercial and industrial roofing and sheet metal businesses in the area. In 1994, Gordon decided to start Kautz Construction, along with his wife Wendy, and focus on general contracting and roofing. In 2009 Gordy decided to venture into the solar electric business because he saw the value that general construction and roofing skills would bring to solar installation. Gordy’s strategic thinking as being a “single source solution” has paid off well for Kautz and KC Green Energy. Gordon is the manager of the General Construction & Restaurant Division of Kautz Construction and has over 20 years of experience in the industry. In addition, Gordon supervises Kautz Roofing’s green and vegetative roof projects and is an Accredited Green Roof Professional as recognized by Green Roofs for Healthy Cities, the most esteemed green roofing organization in North America. Gordon is a founding member and board member of the Lancaster Urban Farming Initiative, a 501C3 Non-Profit. 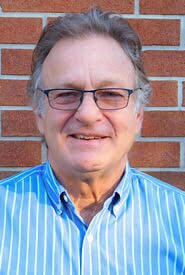 Gordon has a degree in Business Administration from Drexel University. 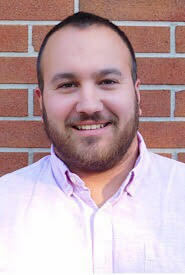 Josh started with Kautz as an intern in 2013. After graduating from college, he worked in all aspects of the business including the restaurant division, the roofing division as a mechanic and solar division as an installer before becoming a roofing foreman in 2017. He is now an Assistant Project Manager and works in both the restaurant division and solar division. 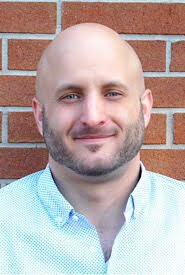 Josh Longsderff has an Associates Degree in Building Construction Technology and a Bachelors Degree in Construction Management from Pennsylvania College of Technology. Tim joined Kautz in 2018. 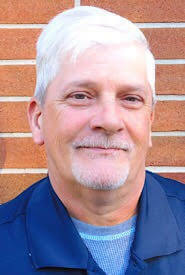 Tim comes to Kautz with a vast knowledge of commercial and residential roofing. He manages the day to day service work related to roof leak issues and manages our roofing service team. Jenny joined Kautz in 2016. She is central to the day-to-day operations at Kautz. Jenny has extensive office management experience. She has worked as a store manager for one of the biggest pharmacy chains and she and her husband owned an HVAC Company where she was responsible for its operations. She has a B.S in Business Administration from Slippery Rock University. 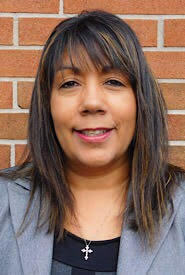 Diliana has worked as a Digital and Direct Response Marketing Professional for over 15 years. 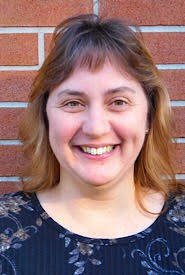 She has spent most of her career working for large, multi-national companies in the B2B area. Diliana joined Kautz Construction as the Marketing Manager in 2018 and manages Marketing and PR for the Kautz family of companies. She holds a degree in Business Management from SUNY Empire. Dylan Kautz first started working for Kautz Construction as a laborer while in high school over the summers and continued to do so through college. He graduated from the University of Delaware with a degree in Business Administration with a marketing minor. After college, he worked for Clark Construction (a major general contractor out of DC) as a concrete engineer overseeing the work of approximately 85 concrete workers. In 2008 he rejoined Kautz Construction to help start a solar business. KC Green Energy LLC was formed and is a wholly owned LLC of Kautz Construction. Dylan is now the VP of operations for KC Green Energy. His knowledge of construction, roofing, and solar has enabled KC Green’s success and correlates with our objective of being our customer’s “single source solution”. Sign up for our quarterly newsletter to receive important industry news and special promotions.